Signs Visual creates custom printed outdoor banners and exterior signage in New York City. Our exterior banners are printed in either vinyl, mesh, or fabric material and can be paneled together for larger wall spaces. These outdoor vinyl banners are perfect to advertise your business, or for real estate purposes in renting or leasing your commercial space thru outdoor advertising with banners. 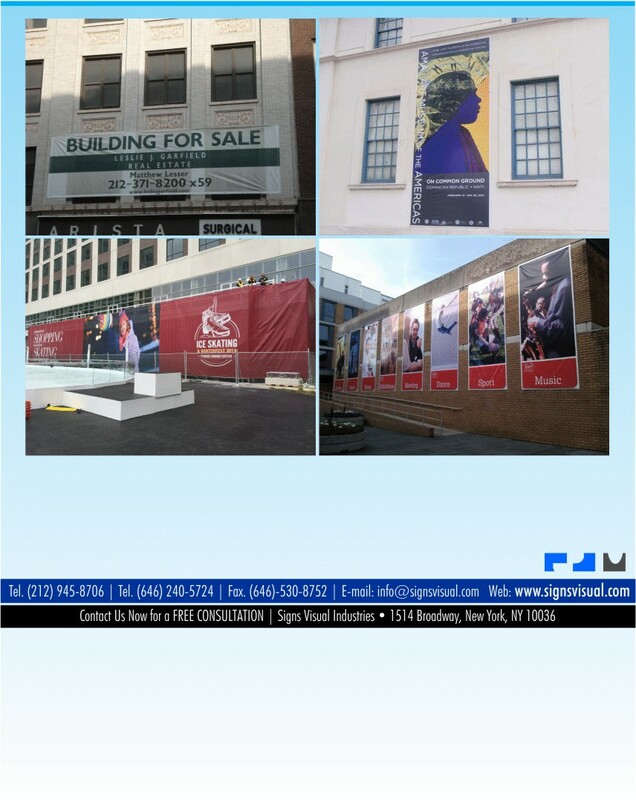 Contact us today for a free quote on your next outdoor banner project in NYC!